I Ching translated as the Book of Changes is used as a form of divination to determine the changing forces that are happening around a given situation. 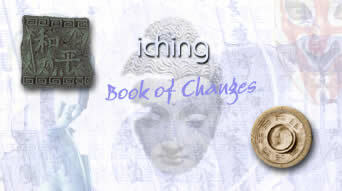 Welcome to the book of changes (iching) over the following pages you will find methods, history, symbols and an oracle section all related to iching. To navigate please click on one of the links to the left.